I wonder if Dawkins’ statement is only applicable to systems resembling a neural network. The Global Consciousness Project for instance satisfies the “speed of interconnectedness” condition: coherence in the noosphere instantaneously shows up as coherence in the thermal noise of Random Event Generators scattered all over the world. In a sense we read each other’s thoughts and translate the similarity of our thoughts and emotions into quantum level phenomena. What sort of experiment should we conduct with what results to justify that the GCP is a conscious autonomous entity? I’m guessing that this is a bit of a generalisation which could possibly be true but is certainly debatable. I’ve noted on various forums that contentious items under debate or discussion seem to leverage quite intelligent research & discussions among growing groups of individuals. I agree that there seems to be this lacklustre utilisation of Google to research much but among these groups, they seem to be aware that all that is on the Net & indeed Google is subject to questioning & verification before it can be utilised with any authority & confidence in the media/info & its quality. Likewise these groups tend to carefully follow multiple discussion threads & chains of thought quite coherently & with quite intelligent thought & consideration. Mind you many of us are indeed aware that Dawkins the Biologist has some strong agendas beyond his Biology expertise. I’ve read about the Global Consciousness Project. Fascinating stuff, but I’m not sure I buy it. Even if the cognitive or emotional state of people around the would could some how influence tiny, apparently random events, I’m not convinced this would necessarily be an indication of global consciousness. It might just be an epiphenomena of mass, uncoordinated and independent activity. Some people claim that on Superbowl Sunday, the act of everyone flushing the toilet simultaneously at halftime wreaks havoc on the US water and sewage system. This appears to be an urban legend, but even if it were true, what would it show? Not that we are influencing each other, or telegraphing information through our toiletry behavior. Instead it would simply show some other factor (in this case, a compelling Superbowl game keeping us glued to our seats until halftime) was influencing everyone to behave in the same way. You don’t need to look to random event generators to see evidence of global influence, or global coordination of thought. Look at the outpouring of support for the tragedy in Haiti, and on the negative side, look at the mounting evidence that human activity is warming the planet. The internet and globalization generally are making it so that events in one part of the world can have big and nearly instantaneous influence across the entire globe. But the questions remains whether the infrastructure that enables global influence can be harnessed to beneficial ends, or will it remain at best a mere curiosity, and at worst a massive drain on our planet’s resources. Very interesting site you have, partly overlapping and mostly going beyond my own insights. As regards global brains such as the web (or beehive) functioning as an individual in the future, what I believe will always be missing is a steering conscious mechanism. 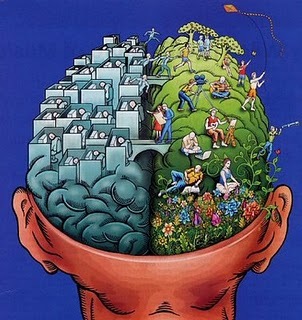 It may behave as a conscious entity but it will rather function like the subconscious processes of the brain. I disagree with most AI adepts that consciousness will emerge from a brain like structure. But i do believe it is useful to program structures that mimic consciousness to get concerted, timed and “willed” actions. What is needed is a program that can abstract rules and patterns from popular tweets. A TweetAnalyser so to say that yields emergent patterns. « Is the Singularity Already Here and Making Us Stupid?